The holidays are over and the winter doldrums are setting in. 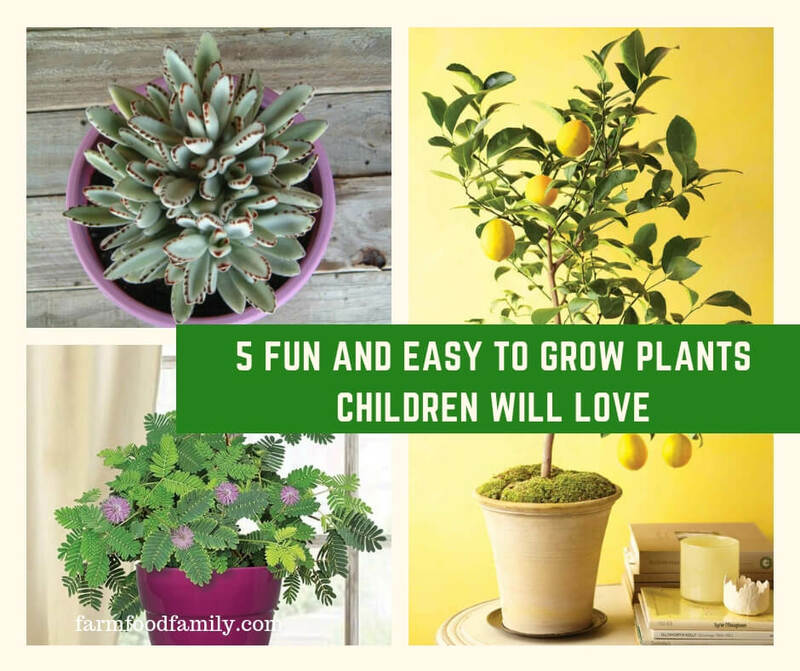 To help, here’s a list of 5 fun plants for your kids to grow and care for! The holidays are over and the winter doldrums are settling in. For kids, it often means boredom and post holiday let down. For a fun and educational activity, try these five easy houseplants for kids to plant and grow! This root vegetable is well known for its nutritional properties, but it also makes a pretty and fun houseplant. Cut the top inch off of a good-sized carrot and remove the outer leaves. Fill a 5-inch pot with potting soil and bury the top just up to the crown. In about a month you’ll have a lovely display of lacy foliage that resembles that of its cousin, Queen Anne’s Lace. Keep in a partially shady spot away from heat and enjoy! This is a classic science experiment and will eventually result in a handsome 3 foot tree. Plant the blunt end of the avocado pit into a pot of potting soil making sure to leave the pointed end exposed. Keep warm. Another method is to push three toothpicks into the sides of the stone and balance it in a jar of water blunt side down. Once roots have formed it can transplanted into soil. Pinch the foliage regularly to keep the tree full and bushy. The seeds in most varieties of oranges, lemons, limes, grapefruits and tangerines germinate quite easily and quickly. Soak them overnight and then press down into potting soil to about ½ an inch. Keep in a warm and dark place until the shoots appear and then move to a spot that gets plenty of sun. Place them outdoors in the summer and keep cool in the winter. This plant delights children everywhere due to its habit of folding up its feathery leaves and drooping when touched. The plants are easy to grow from seed-just pour hot water over them and plant in potting soil. They can also be grown from stem cuttings. Keep in bright light. In the summer they produce pink flowers that look like tiny fluffy balls. This succulent is a type of Kalanchoe and is grown for its fuzzy brown edged leaves. Children find it irresistible! Keep on a sunny windowsill-a south facing one is best. Water regularly in the summer but only very sparingly in the winter. Cuttings root easily. Other fun plants can be grown from apple seeds, peach pits, even coffee beans. Let kids experiment and see what happens!